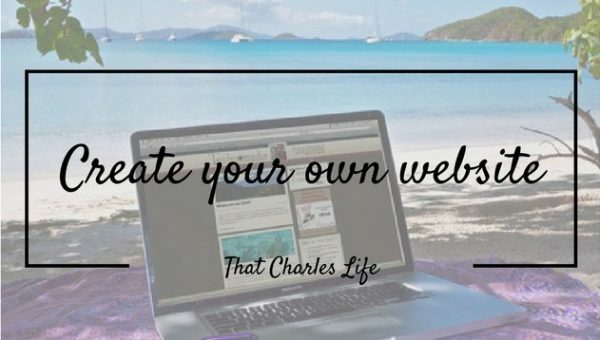 Why you should create your own website.. The great thing about this, is as I will be writing this I will be practicing it alongside you. I’ve been blogging for a little while now, and practicing some minor money making strategies, made a bit of cash. But I’ve made the conscious decision that I am ready to take things to the next level. I will be outlining the actual steps I am taking while I build a few new websites. Implementing various different online money making strategies. One’s that you can use yourself, on your own website. Before we get into it, let me serenade you with some facts and realities of modern life, and why you should create your own website. The world is changing. Business and life is moving online. In reality I’m pretty late to the party with stating this. For years now people have been making money, making a name for themselves, creating, collaborating and sharing in a much more effective way. Look at the stocks of two companies. 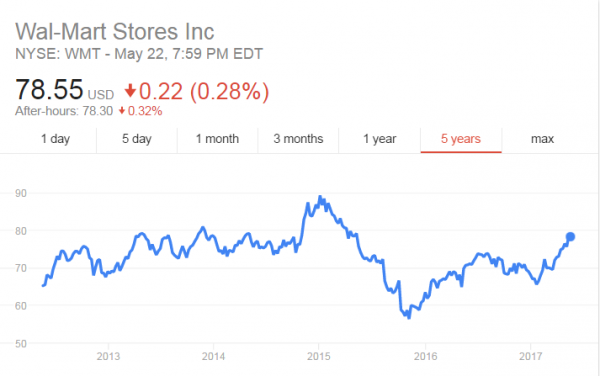 One is Walmart, a traditional brick and mortar mass retailer. They have moved online, but not to the extent of the next company..
Amazon. 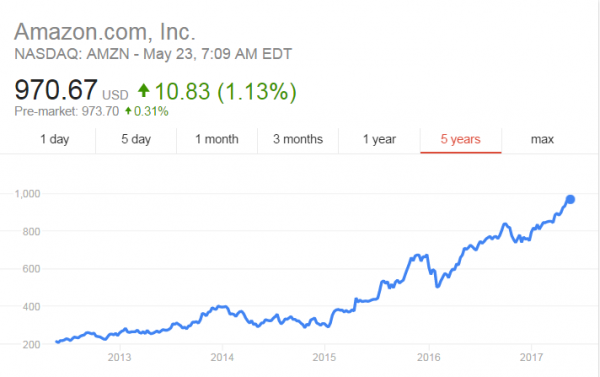 Amazon is a primarily online retailer. And look at that growth. If that doesn’t paint a picture of the way the world is moving, I’m not sure what will. People have been making money online for probably over 20 years now. You might think that the market is already saturated, but that’s so far from the truth. There are new markets opening up everyday; new trends to jump on – male romper, anyone? New problems to solve – selling fresh air in a can to China! And new markets emerging – Marijuana in Canada is set to legalize in 2018. You definitely can still make money online. The best part is that it doesn’t take even close to the same financial investment as a traditional, tangible business. Secondly..
Come back soon for the next article, where I will cover how to capitalize on your personal talents and personality, and choosing the perfect niche. Until then, onwards & upwards!